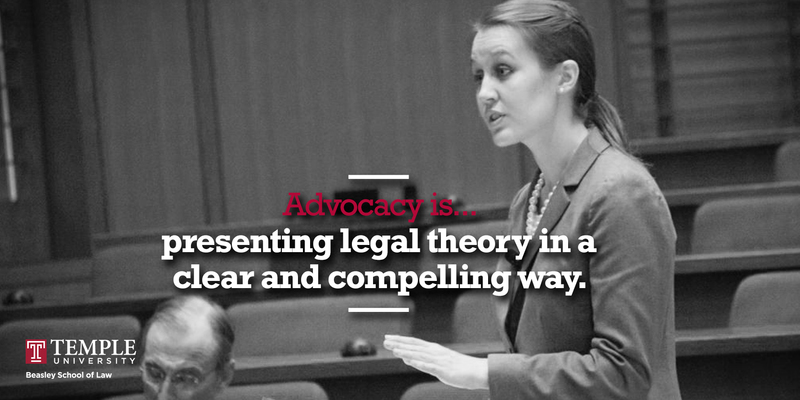 Caroline Power earned her JD from Temple Law in 2014, completing a law school career filled with accomplishments in trial advocacy. Power was one of the key members of the National Trial Team, which won its 26th regional championship in 28 years and advanced to the elite-eight of the National Trial Competition in 2014. 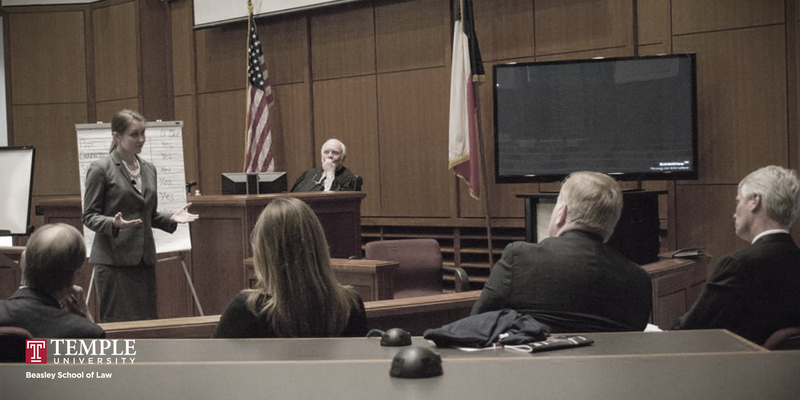 Later, just weeks after graduation, Power won Baylor Law School’s Top Gun competition, one of the most prestigious trial advocacy competitions in the country. 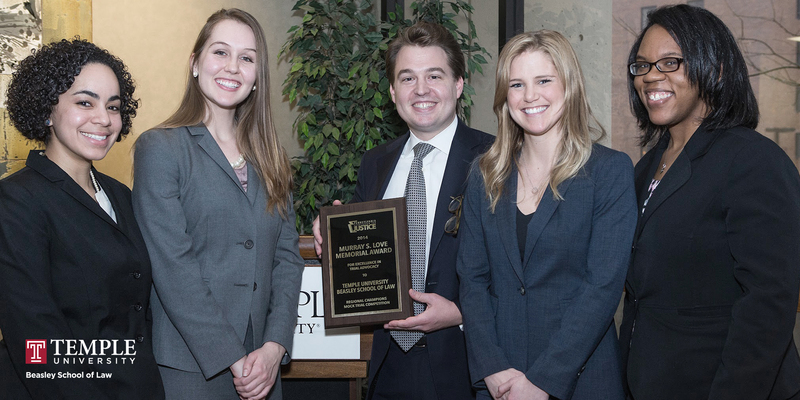 Power, who defeated participants from 16 other law schools across the nation, received a prize of $10,000 along with the title of Top Gun. Power said the unique nature of the competition – participants are not given the case file until 24 hours before the first round of trials begin – made the Top Gun tournament particularly difficult. “This is the toughest competition I’ve been in,” she said. 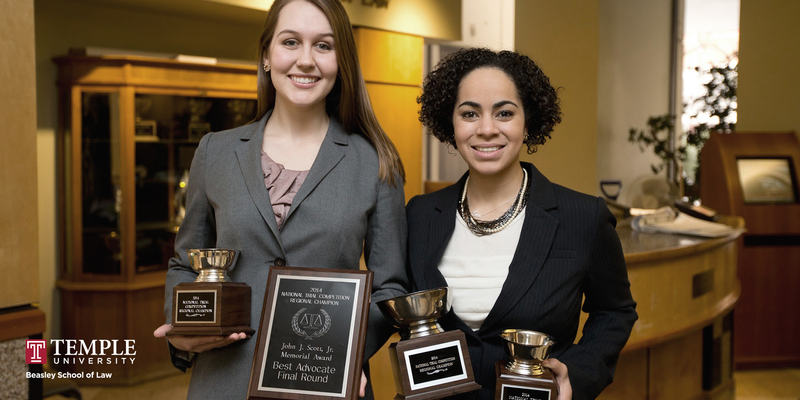 “Just the dynamics of it, the pressure of it.” Presiding Judge Leonard E. Davis, Chief Judge of the United States District Court for the Eastern District of Texas, praised Power after the competition, describing her as talented, fluid, articulate, and persuasive. Since graduation, Power has worked as an associate at Dechert, LLP as a litigator with a focus on electronic discovery, class actions, multi-district litigation and trial. Already, Power has represented a major pharmaceutical company in products liability litigation in state and federal courts. She currently represents a pharmaceutical company in the coordinated Reglan/metoclopramide litigation, where she is a member of the legal strategy team.